IP20 rated indoor light fitting, track mounted versions, made of my bianco, my nero painted aluminium. 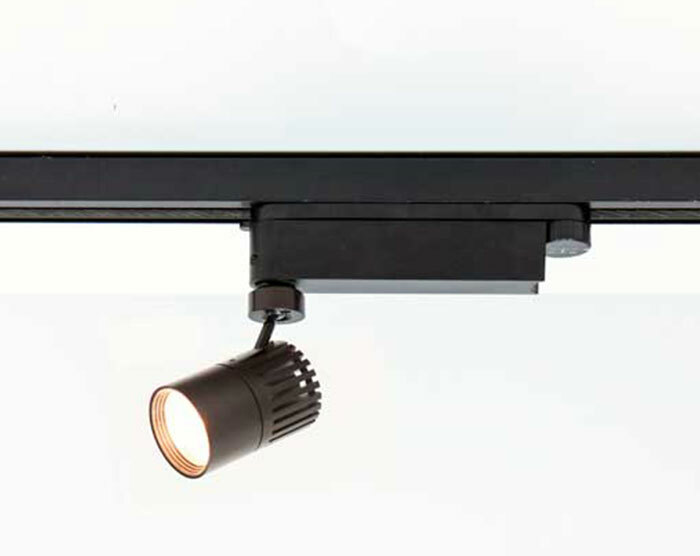 dimensions profile: the Ø55mm head of the lamp can rotate by 360° on the vertical axis and by 140° on the horizontal axis. wired with led sources with interchangeable diffusers (20°, 36°) dimmable with on-board potentiometer, power supply included 240V 50-60Hz. each light fitting has a light trap for optimal visual comfort.